report on, we hope you will still benefit from our take on how it pertains to you. 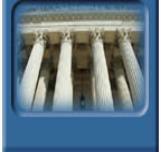 including recent regulatory actions and case law, visit http://twitter. announced a groundbreaking settlement agreement with Xcel Energy Inc.
of climate change on a business that investors and regulators may expect. documents and with statements made to the public and the media. Clean Air Act is a poor vehicle for addressing global climate change. describe the ANPR as unprecedented in scope and character. their trade associations, by the November 28, 2008 comment deadline. proposals. For a copy of the ANPR, click here. nonattainment areas can be found at http://www.epa. "commencing" construction, contact Russ Frye. and Clean Water Act NPDES permit compliance. Site Security Plan that meets specified performance-based standards. a theft potential), nitric acid (15,000 pounds), and propane (60,000 lbs.). contribute to that threat—as well as the Supreme Court’s Massachusetts v.
very small fraction of total greenhouse gas emissions. Prevention of Significant Deterioration (PSD) regulations. United States v.
i.e. its maximum pounds-per-hour emissions. of increased hours of operation but not because of increased emission rate. For a copy of the court’s opinion, click here. South Carolina, Virginia, and West Virginia). the NSPS definitions in the discussion of nonattainment NSR for"
projects, please contact Russell Frye. (EPCRTKA). American Chemistry Council v. Johnson, No. 04-5189. "toxic" if it contributes to the formation in the atmosphere of ozone. Inventory (TRI) is required, the Circuit Court remanded the case to the D.C.
primarily because of their role as ozone precursors.